Picture of Newlyn Harbour, Cornwall. 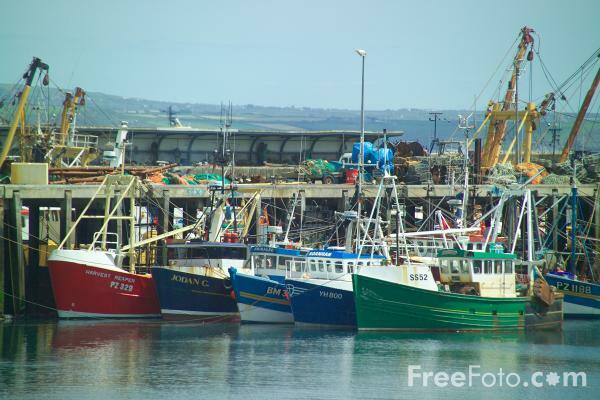 Newlyn harbour is home of the second largest fishing fleet in the United Kingdom and is a major centre for distribution of high value fish. VIEW: More images from the category Newlyn, Cornwall or around the same time .